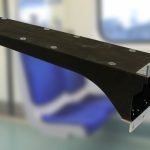 Composites Evolution, Bercella and Element Materials Technology (Element) have successfully completed the development and testing of a composite cantilever support for rail passenger seating. The component, which is 1 meter long but weighs less than 5 kg, passed a wide range of tests performed by Element. The evaluation included static loadings, fatigue cycles and fire testing to EN 45545 according to the requirements of Bercella’s customers. Cantilever seat supports, which are mounted on the wall of a train carriage rather than the floor, offer a number of advantages including improved access for cleaning and luggage storage. The lightweight composite structure also provides advantages in terms of reduced train energy consumption and lower axle loads. 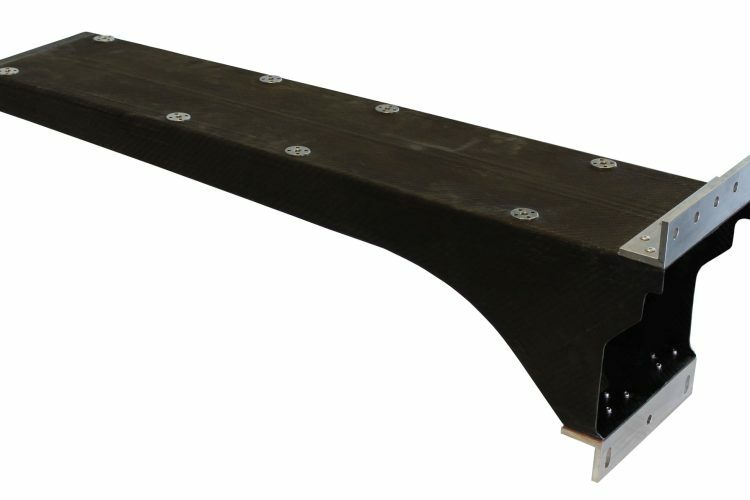 The seat support was manufactured by Bercella using Composites Evolution’s Evopreg PFC prepreg with a high strength carbon fibre reinforcement. Evopreg PFC was specified for this application because of its excellent fire performance, low toxicity and outstanding environmental credentials – the base polyfurfuryl alcohol resin is 100% bio-derived. Evopreg PFC is one of the first prepregs to be manufactured on Composites Evolution’s new prepreg line that was installed in July 2018. The seat support will be on display at Composites Evolution’s stand (N99) at the Advanced Engineering Show on 31st October and 1st November in Birmingham, UK.